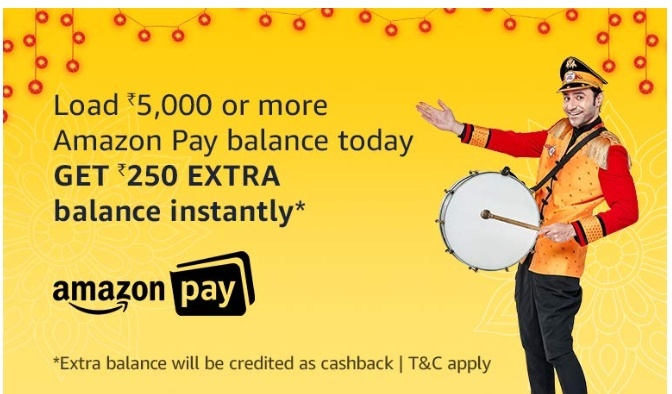 Amazon Pay Rs 250 cashback add money offer. Get Rs 250 instantly cashback On adding Rs 5000 in Amazon pay balance. 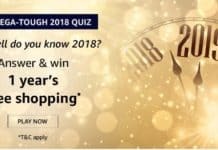 Are you ready for Amazon Great Indian Festival Sale 2018. 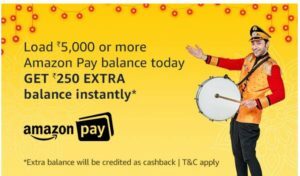 Now Amazon Pay Rs 250 cashback add money offer is here. 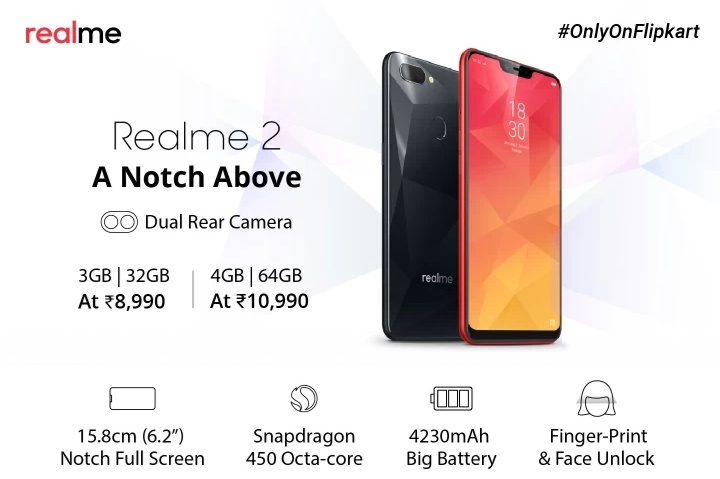 Add money now & get ready for the sale. Amazon is giving offer on wallet top up. This offer is valid from 18th October 2018 00:00:00am to 23rd October 2018 23:59:00pm. 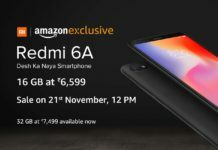 So hurry up and grab Amazon Pay Rs 250 Cashback add money offer. 1) First Of All Click Here To Add Money On Amazon Pay Wallet. 2) Enter Minimum amount Rs 5000 or above (Add Rs 5000 To Get Benefit). 4) No Promo Code Required. 5) Now Pay The Amount Using Any Payment Mode For Adding Money. 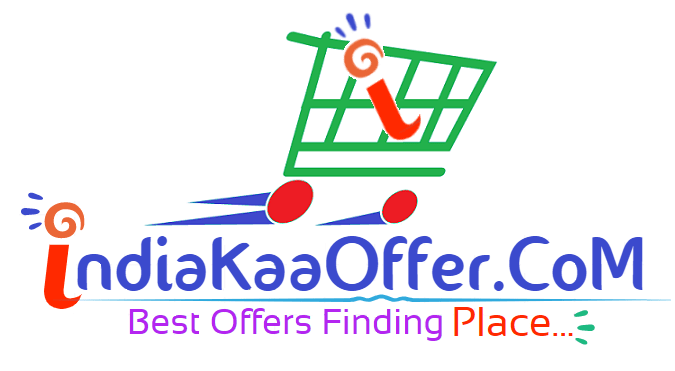 6) Now you will get Rs 250 Cashback Instantly.